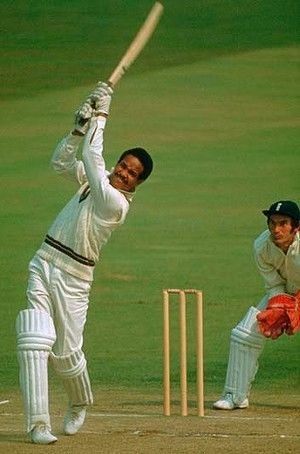 Sir Garfield St Aubrun Sobers, AO, OCC (born 28 July 1936), also known as Gary or Garry Sobers, is a former cricketer who played for the West Indies between 1954 and 1974, and is widely considered to be cricket's greatest all-rounder. Born in Bridgetown, Barbados, Sobers made his first-class debut for the Barbados cricket team at the age of 16 in 1953, and his Test debut for the West Indies the following year. Originally playing mainly as a bowler, he was soon promoted up the batting order. Against Pakistan in 1958, Sobers scored his maiden Test century, progressing to 365 not out and establishing a new record for the highest individual score in an innings. His record was not broken until Brian Lara scored 375 in 1994. Sobers was made captain of the West Indies in 1965, a role which he would hold until 1972. He would also captain a Rest of the World XI during their 1970 tour of England. Overall, Sobers played 93 Tests for the West Indies, scoring 8032 runs at an average of 57.78, and taking 235 wickets at an average of 34.03. He has the fourth highest batting average in Test cricket in the list of cricketers with more than 5,000 runs. In his 383 first-class matches, he scored over 28,000 runs and took over 1000 wickets, having spent time with South Australia and Nottinghamshire towards the end of his career. Sobers was knighted by Queen Elizabeth II in 1975 for his services to cricket. He became a dual Barbadian-Australian citizen through marriage in 1980. By an act of Parliament in 1998, Sobers was named as one of the ten National Heroes of Barbados. From an early age, Sobers demonstrated the talent and ability to play with great skill almost any sport involving a ball, particularly cricket, football and basketball. He and his similarly talented brother Gerald helped their Bay Street Boys' School team to win the primary school Inter-School Cricket championship for three consecutive years. When he was 13, he was recruited to play for two cricket teams. These were the Kent St Philip club in the Barbados Cricket League (BCL) and the Wanderers club, located at Bay Land, in the Barbados Cricket Association (BCA). Garnet Ashby, captain of Kent St Philip, told him that this was his opportunity to play cricket with "the big boys". Sobers gained useful experience by bowling to Wanderers batsmen, including West Indies Test player Denis Atkinson, at practice in the nets and soon developed his great skill as a left arm spin bowler. More importantly for his career, he was observed by Inspector Wilfred Farmer, captain of the Police team in the BCL First Division. Farmer offered Sobers a chance to play for Police in the 1951–52 season while he was still only 15. In the 1952–53 season, Sobers was invited to the Barbados trials for the colony's tour match against the Indian touring team at Kensington Oval, Bridgetown. He was initially selected as 12th man but then made the team itself when Frank King was forced to withdraw. He therefore made his first-class debut on 31 January 1953, aged only 16. Batting at number nine, he scored 7 not out in his only innings but made an immediate impression as a bowler, taking 4/50 and 3/92. A full year passed before Sobers, now 17, made his second first-class appearance, again playing against a touring team. He batted at number five against Marylebone Cricket Club (MCC), scoring 46 and 27; and took two wickets in the match. He had shown enough talent in these two matches to be selected for West Indies and his third first-class appearance was his Test debut. Sobers had progressed quickly and made his Test debut in March 1954, aged 17, against England at Sabina Park in Kingston, Jamaica for the Fifth and final Test, after Alf Valentine had fallen ill. Sobers was selected as a bowler, despite only mediocre performances against England for Barbados. He made a good impression by taking 4/75 in England's first innings, including a wicket in his opening over. Sobers also scored 14 not out and 26 batting at number nine; however, England won the match by nine wickets. Australia toured the West Indies in 1954–55, and their all-rounder Keith Miller thought that Sobers would become a better batsman than bowler despite batting in the lower-order. Sobers was not selected for the First Test, which the West Indies lost by nine wickets. However, he regained his place for the Second Test in Port of Spain, Trinidad and Tobago. The match was a high-scoring draw, with Sobers scoring 47 and eight not out. He was barely used with the ball, bowling three overs for ten runs, as Australia amassed a first-innings total of over 600. Sobers was given a further opportunity in the next Test in Georgetown, Guyana (British Guiana at the time) in South America. Despite scoring only 12 and 11 with the bat, he took three wickets in the Australians' first innings. Nevertheless, Australia won by eight wickets. West Indian captain and opening batsman Jeff Stollmeyer twisted his ankle after treading on a ball ahead of the Fourth Test in Barbados, "triggering huge debate about who should open." Eventually, Sobers was chosen to open the innings after Australia had amassed another total of over 600. Sobers had a suspicion he might be asked to do the job. "I couldn't see them sending in anyone else — I was a bowler with a little ability as a batsman and they wanted someone to help see off the shine and protect the three W's." Sobers struck his first three deliveries for boundaries, all from the bowling of Miller. In the fast-bowler's second over, Sobers hit him for another three fours. He was eventually dismissed for 43 out of a first-wicket partnership of 52 with JK Holt. The match was drawn, and Sobers took one wicket in the Australians' only innings, before scoring 11 in the West Indies second innings. The home team were again defeated in the Fifth and final Test in Jamaica. Sobers performed with the bat, however, scoring 35 not out and 64. He was sent home from New Zealand early to play an unofficial Test match against an England team that included feared fast-bowler Frank Tyson. After struggling to cope with Tyson's pace, Sobers managed to score a half-century, raising hope that he would be selected for the upcoming tour to England, something he considered unlikely after his lack of form. In the first trial match to help select the squad for the upcoming tour, Sobers scored a century in Trinidad. The matches also saw Sobers get his first look at West Indian cricket politics. Wes Hall and Frank Mason were competing for a single place in the touring party, and Sobers and Everton Weekes decided they "would take on Mason and knock him out of the firing line to try and get our fellow Bajan (countryman) Wes in the team." The pair attacked Mason, while they defended Hall in a tactic that paid off with Hall selected, despite Sobers believing Mason was the better bowler at the time. Sobers toured England for their summer in 1957. He played his first match against the Jim Swanton XI in April, and was surprised about how cold the conditions were, often causing him to wear two or three jumpers. His performances with the bat throughout the five Test series were classed as mediocre, scoring 320 runs at 32, with three half centuries. On the bowling front, Sobers struggled, taking five wickets at 71. It was in the final Test at The Oval that Sobers gained the attention of critics with defiant batting amid a disappointing team performance. The condition of the pitch was subject to criticism and described by Wisden Cricketers' Almanack as "a strange sight". After England had scored 412, the West Indies were easily dismissed for 89 and 86 by the Surrey spinners Jim Laker and Tony Lock, who were playing on their home ground. Batting at number 3, Sobers made 39 and 42, while none of his colleagues passed 30 in either innings. In its summary of the tour, Wisden said: "(of the newcomers) Collie Smith, Sobers, Rohan Kanhai and Roy Gilchrist were particularly impressive"; adding that "to Sobers, a tall left-handed all-rounder, fell the distinction of hitting the highest score of the tour: 219 not out against Nottinghamshire at Trent Bridge. Sobers undoubtedly was a very fine stroke-player who should go far". At this stage of his career, Sobers had frustrated his admirers by failing to convert good starts into high scores. He had reached double figures in 18 of his 22 Test innings, although his highest score was still only 66. But, in the three years following the 1957 tour, he fulfilled his promise. In his next 24 Tests, he scored 2,250 runs at the exceptionally high average of 93.75. In 1958, he scored his maiden Test century against Pakistan in Kingston and expanded it to an unbeaten 365, breaking the world record Test score of 364 set by England's Len Hutton in 1938. Sobers batted for 614 minutes and scored 38 fours but, unusually in such a large total, no sixes. At 21 years and 216 days, he is the youngest player to break the individual scoring record in Tests, and remains the youngest triple-centurion. 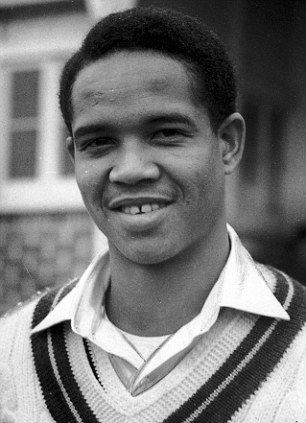 Sir Garfield Sobers set the world records for the highest maiden test ton(365*) as well as becoming the first batsman in test history to convert his maiden test ton into a triple ton. He made 824 runs with three centuries in the five Tests against Pakistan, and followed this with 557 runs and three more centuries on the West Indies tour of India in 1958–59. Sobers underwent trauma following the death of Collie Smith in September 1959, but he continued to play cricket successfully. In the home Test series against England in 1959–60, he scored three centuries in five matches, totalling 709 runs. Largely inspired by new West Indies captain Frank Worrell, who was a close personal friend, Sobers had an outstanding 1960–61 series in Australia. He scored a celebrated 132 on the first day of the First Test at Brisbane Cricket Ground, the match which resulted in the first Tied Test. Wisden confirmed that "some observers considered it the best hundred they had ever seen". Sobers scored 430 runs in the series, which Australia won 2–1, with two centuries; his fielding was outstanding and he took 12 catches. He felt he had "had a good series, starting badly but then coming on" and a very positive outcome for him was to receive an invitation from Don Bradman to play for South Australia in 1961–62. His success continued in the next two series at home to India in 1961–62 and away to England in 1963. He was elected Wisden Cricketer of the Year in 1964, and then succeeded Worrell, who had retired, as West Indies captain for the 1964–65 home series against Australia. In 1966–67, Sobers captained the West Indies team to India in 1966–67 and they won the series 2–0 with one match drawn. He lost a series for the first time in 1967–68 when West Indies were surprisingly beaten at home by England. Four matches were drawn and England won the Fourth Test at Queen's Park Oval following a controversial declaration by Sobers which enabled England to score the necessary 215–3 to win at just four runs an over. In 1968–69, Sobers captained the West Indian cricket team in Australia in 1968-69 but they lost the series 3–1 and then drew a three-Test series in New Zealand 1–1. In 1969, West Indies lost 2–0 in England with one match drawn. Sobers captained West Indies for the five-Test home series versus India in 1970–71. India won the series 1–0 with four matches drawn. A year later, Sobers led West Indies in five home Tests against New Zealand and all five were drawn. Sobers was succeeded as West Indies captain by Rohan Kanhai for the 1972–73 home series against Australia. Sobers did not play in that series but returned to play under Kanhai in England in 1973. He played his last Test in March 1974 at Queen's Park Oval against England. When South Africa was banned from international cricket because of the country's apartheid policy, the team's two lucrative tours to England in 1970 and to Australia in 1971–72 were cancelled. The cricket authorities responded by forming Rest of the World teams to play unofficial Test series in lieu and these teams included some leading South African players. Sobers was invited to captain the Rest of the World in both series. In 1970, captaining the Rest of the World XI against England, he took 6/21 on the opening day of the First (unofficial) Test at Lord's with pace bowling, the ball swinging and seaming at high speed. He then scored "a magnificent" 183 and helped bowl out England in the second innings using his left arm wrist spin. In the Fourth Test at Headingley, Sobers scored 114 and 59 as his team won by two wickets. Following the Rest of the World series, he outraged many in the West Indies by playing in a friendly double-wicket tournament in Rhodesia in September 1970. Sobers spent several seasons in English league cricket. 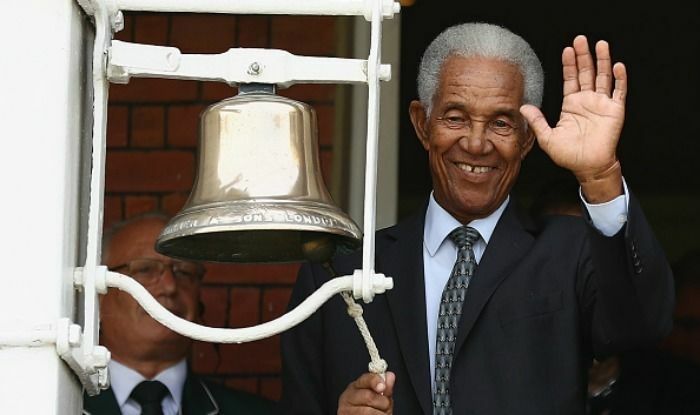 Having completed his first tour of England with West Indies in 1957, he followed the advice of his mentor Frank Worrell and became the professional at Radcliffe Cricket Club in the Central Lancashire League, staying for five seasons from 1958 to 1962. This experience enabled him to hone his skills in varying conditions and Sobers says that playing in the league furthered his cricket education. He enjoyed considerable success at Radcliffe. In 1961, he achieved a rare "double" by scoring 1008 runs and taking 144 wickets, his performances being instrumental in Radcliffe winning both the league's championship title and its supplementary Wood Cup competition. While he was engaged at Radcliffe, Sobers underwent emotional trauma after a road accident in September 1959 on the A34 near Stoke-on-Trent which resulted in Collie Smith's death. Sobers was driving a car in which Smith and another West Indian Test player Tom Dewdney were passengers. Smith's back was broken by the collision and he died three days later. Sobers could not recall much about the crash and was fined 10 pounds for driving without due care and attention. He "began drinking more" and there were concerns, expressed by himself and others, that the experience might affect his cricket career. He got over the trauma by deciding that he would be letting his country down if he "disappeared into the mists of an alcoholic haze" and he resolved to play not just for Garfield Sobers but for Collie Smith as well, thus setting himself the task of playing for two men. He recovered well and, after an outstanding home Test series against England in 1959–60, he returned to Radcliffe where he continued as club professional for the next three seasons. Sobers gives an insight into the life of the club professional in his autobiography. He was paid £500 a season by Radcliffe. That was a reasonable wage but he relied on matchday collections to augment it and a good performance would boost the collection. He sometimes received as much as £50 in a collection and "that represented a massive bonus". Radcliffe placed no restrictions on him and, when they had no game, he could play as a guest professional in other leagues throughout Lancashire and Yorkshire. He particularly liked playing in Yorkshire when he could because they would pay him £25 per appearance with a collection on top if he did well. 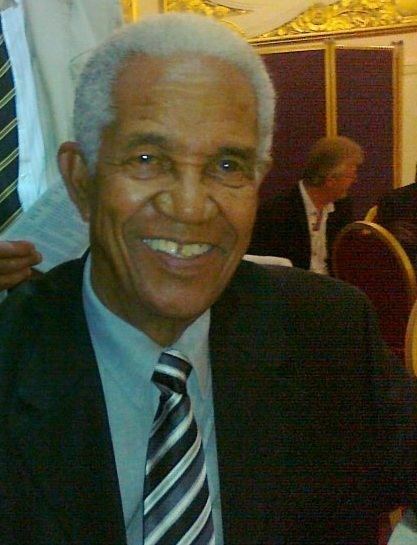 After touring England with West Indies in 1963, he moved to the North Staffordshire and South Cheshire League in 1964 to play for Norton Cricket Club, who duly won the league title. Sobers made 549 runs in 18 innings at 49.90, finishing second in the league averages behind only his amateur brother Gerald, also playing for Norton, who averaged 50.12. Gary Sobers did even better with the ball, his 97 wickets at 8.38 heading the league averages. 1965 saw a repeat performance with Norton again winning the league and, though Sobers only averaged 25.38 with the bat, he again topped the league bowling averages with 76 wickets at 8.03. Norton lost the league title in 1966 while Sobers was touring England with West Indies but regained it in 1967 when he returned. He was fourth in the 1967 league batting averages with 41.83 and third in the bowling with 95 wickets at 9.37 (the two bowlers with better averages took only 22 and 24 wickets). He was even more outstanding in 1963–64 when, largely due to his efforts, South Australia won the Sheffield Shield. Sobers was the season's leading runscorer with 973 at 74.84 and the leading wicket taker with 47 at 28.27. Sobers spent three seasons with South Australia and in two he achieved the rare double of 1000 runs and 50 wickets. Sobers played intermittently for Barbados throughout his first-class career. He made his first appearance in the inaugural season of the new Shell Shield competition in February 1966. His last appearance for Barbados came in the 1973–74 Shell Shield match against Jamaica, at Kensington Oval. At the end of the 1967 English cricket season, it was agreed that each county club could immediately sign a non-English player for the 1968 season. Seven clubs approached Sobers and, on 14 December 1967, Nottinghamshire announced that he had signed for them and had been appointed club captain. Sobers stated that, although he had enjoyed his time in league cricket, he had a definite preference for the first-class game and he looked forward to restoring Nottinghamshire's fortunes. Though details were undisclosed, Wisden 1968 speculated that his contract would run for three years and be worth £7000 a year (a very high income at the time), including an apartment and a car. On 31 August 1968, Sobers became the first batsman ever to hit six sixes in a single over of six consecutive balls in first-class cricket. The feat consisted of five clean hits for six and one six where the ball was caught but carried over the boundary by Roger Davis. Sobers was playing as captain of Nottinghamshire against Glamorgan at St. Helen's in Swansea; the unfortunate bowler was Malcolm Nash. This tally of 36 runs in an over broke a 57-year-old record of 34 runs, held by Ted Alletson. The ball was collected from a garden by 11-year-old Richard Lewis; he later gave the ball to Sobers. In 1984–85, Indian batsman Ravi Shastri equalled the record by scoring six sixes in an over while playing for Bombay versus Baroda. An outstanding all-rounder, Sobers was left-handed as both batsman and bowler. His versatility enabled him to bowl all varieties of left-arm bowling from spin to fast-medium. As a fielder he was usually stationed close to the wicket but he was also a very capable outfielder. Richie Benaud described Sobers as "the greatest all-round cricketer the world has seen". Sobers, wrote Benaud, was "a brilliant batsman, splendid fielder, particularly close to the wicket, and a bowler of extraordinary skill, whether bowling with the new ball, providing orthodox left-arm spin or over-the-wrist spin". Fred Trueman enjoyed a great rivalry with Sobers and later described him as a "sublime left-hand batsman" who was "one of the greatest cricketers ever to have graced the game, certainly the greatest all-rounder". Trueman went on to say that Sobers as a batsman "has a great cricketing brain and his thought processes are lightning quick". C. L. R. James, when describing the batsmanship of Wilton St Hill, commented upon St Hill's ability to judge the ball early in its flight and so quickly decide which stroke to play. In James's view, only Don Bradman and Sobers were comparable with St Hill in having this capability of "seeing" the ball. Wisden 1969 described the "lightning footwork" of Sobers as he got into position for his stroke. Commenting upon Sobers' six sixes in an over against his team in 1968, Glamorgan captain Tony Lewis said: "It was not sheer slogging through strength, but scientific hitting with every movement working in harmony." As a bowler, Sobers began as an orthodox left arm spinner (SLA) and later developed the ability to bowl left arm wrist spin or chinaman and googlies. Sobers could also operate as a seamer, sometimes using medium pace, but he was much more effective when he bowled fast. With the new ball, he could make the delivery curve late in flight at high speed; his action being a loose, springy run followed by a "whiplash" delivery. Though he mostly fielded close to the wicket, Sobers was an exceptional outfielder who was seen on one occasion, when he had fielded the ball on the boundary, to "bend his hand back almost parallel with his arm before flipping the ball a full seventy yards to the wicketkeeper". 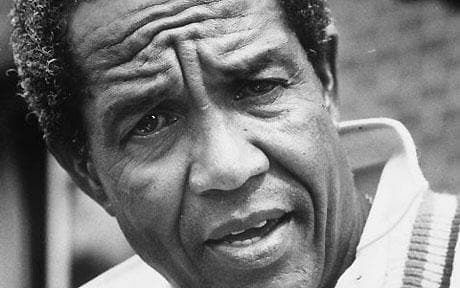 Following his success as captain of West Indies on the 1966 tour of England, the 1967 edition of Wisden Cricketers' Almanack declared that for Sobers "(the 1966 Tests) were one triumph after another with bat and ball, as well as in the field as a master tactician and fantastic catcher close to the bat". Sobers' exploits in 1966 earned him the media-bestowed sobriquet of "King Cricket", which soon afterwards became the title of a book about him. He says that his was a multi-sporting family who were all good at football, basketball, table tennis and tennis. His own favourite sport is golf and he has been an enthusiastic gambler. He is the author of a children's novel about cricket, Bonaventure and the Flashing Blade, in which computer analysis helps a university cricket team become unbeatable. In the 1975 New Year Honours, Queen Elizabeth II created Sobers a Knight Bachelor for his services to cricket. The award was made in the British Diplomatic and Overseas section of the list, rather than on the nomination of the Government of Barbados, which had stopped putting forward recommendations for British honours. This caused the British Foreign and Commonwealth Office some unease, as shown by papers released by The National Archives in 2005. However, since Barbados had not yet introduced its own system of honours, the Prime Minister of Barbados was pleased that an honour would be forthcoming for Sobers. The award was originally intended to be made in the 1975 Queen's Birthday Honours, but since there was a royal visit to Barbados planned for February 1975, it was moved forward to the New Year list so that Sobers could be knighted by the Queen in person during the visit. The very short turnaround between the decision to make the award and its announcement meant that the Governor-General of Barbados was not informed of the award before the public announcement, which caused some hurt feelings between London and Bridgetown. In 2004, the International Cricket Council (ICC) inaugurated the Sir Garfield Sobers Trophy which is awarded annually to the player selected by ICC as its Player of the Year. The recommendation to name the award after Sobers was made by a panel consisting of Richie Benaud, Sunil Gavaskar and Michael Holding, who were asked by the ICC "to select an individual with whom to honour cricket's ultimate individual award".